Mires of a subarctic character, belonging to the arctic-alpine tundra of the Giant (Krkonoše) Mountains, with a combination of arctic and alpine features and the occurrence of endangered, relict and endemic plant and animal species. These are relict islands of the central European mire vegetation that survived from the Late Glacial and then modified by alpine species spreading their range at a later stage. Such a development is documented, on the one hand, by a high similarity with recent plant associations of the European subarctic region, and on the other hand, by the genesis of endemic communities. The mires are found on granite rocks on summit plateaux, i.e. in accelerated wind areas of the anemo-orographic systems. The peat layer depth is highly variable, from only several decimetres up to a maximum depth of 2.8 m. The surface morphology, in places, reminds one of the stränge-flark system of northern mires with bog-lakes up to 170 m2. The vegetation covering mires consists of three physiognomic units – mosses, herbaceous plants and pine krummholz. Moss communities of the alliances Leuco-Scheuchzerion palustris and Drepanocladion exannulati are replaced, on elevated patches of ground, by herbaceous communities of the alliances Oxycocco-Empetrion hermaphroditi and Caricion fuscae, or Nardo-Caricion rigidae. The shrub vegetation includes mosaic stands of Swiss pine (Pinus mugo) and willows (Salix lapponum and S. silesiaca), with solitary individuals of stunted trees of Betula carpatica, Picea abies and Sorbus aucuparia. The mires are situated in the core zone (Zone I) of the Krkonoše National Park. 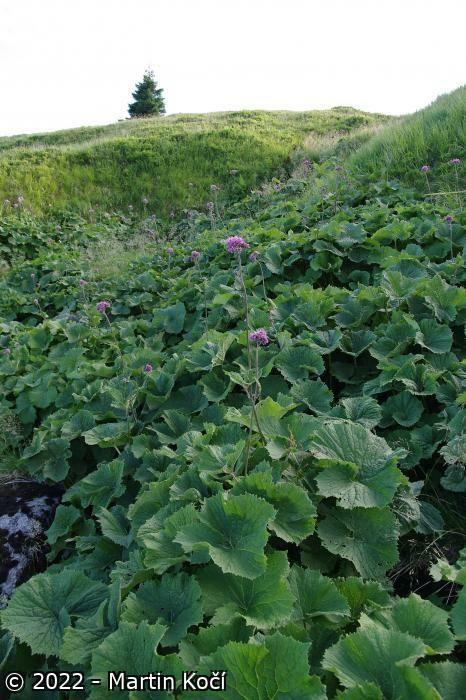 Management of these subarctic mires is mainly focused on tourism regulation, provision of board-walks for visitors, and elimination of invasive allochtonous plant species. The site is an attractive tourist destination, without direct agriculture or forestry exploitation. The impact of tourism is considerable. Spring areas of the Labe (the Elbe) and the Úpa rivers. As concerns the vegetation, the occurrence of endemic and relict elements is of the utmost value: endemic community of Chamaemoro-Pinetum mughi or notable alga Corcontochrysis noctivaga; glacial relicts - alliances of Calliergo sarmentosi-Eriophoretum angustifolii, Chamaemoro-Empetrum hermaphroditi and Sphagno lindbergii-Caricetum limosae. Dominant and characteristic plant species are bog-mosses: Sphagnum compactum and S. lindbergii; mosses: Calliergon sarmentosum and Drepanocladus exannulatus; sedges: Carex limosa, C. paupercula and C. rostrata; and Andromeda polifolia, Empetrum hermaphroditum, Eriophorum vaginatum, Oxycoccus microcarpus, Pedicularis sudetica, Rubus chamaemorus or Trichophorum cespitosum. Invertebrates recorded include, spiders: Arctosa alpigena lamperti, Agyneta decora, Bathyphantes setiger, Centromerus arcanus, and Pardosa saltuaria; dragonflies: Aeshna caerulea, Leucorrhinia dubia, and Somatochlora alpestris; caddis flies: Ecclisopteryx dalecarlica, Limnephilus coenosus, and Rhyacophila polonica; moths: Dasypolia templi and Papestra biren; butterflies: Chionodes viduella, Coleophora vacciniella, Elachista kilmunella, Glacies alpinata, and Pachynematus parvilabris; beetles: Agonum ericeti, Hydroporus nivalis (glacial relict with only one locality recorded in the Czech Republic), and Patrobus assimilis. Birds: Tetrao tetrix, Luscinia svecica svecica (all the birds which nest in the Czech Republic, i.e. 25–30 pairs), Turdus torquatus, Carduelis flammea, Carpodacus erythrinus, Anthus pratensis, and less frequently Anthus spinoletta. Mammals: the most important is Sorex alpinus. 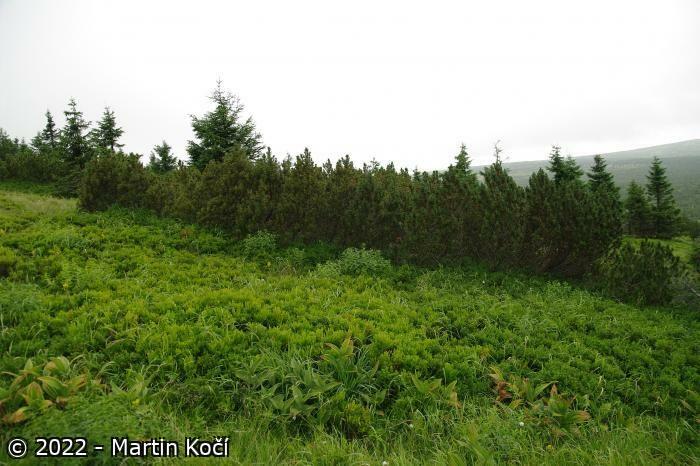 Research into geobotany, forestry (Pinus mugo), entomology and hydrobiology has been carried out by institutes of the Czech Academy of Sciences. 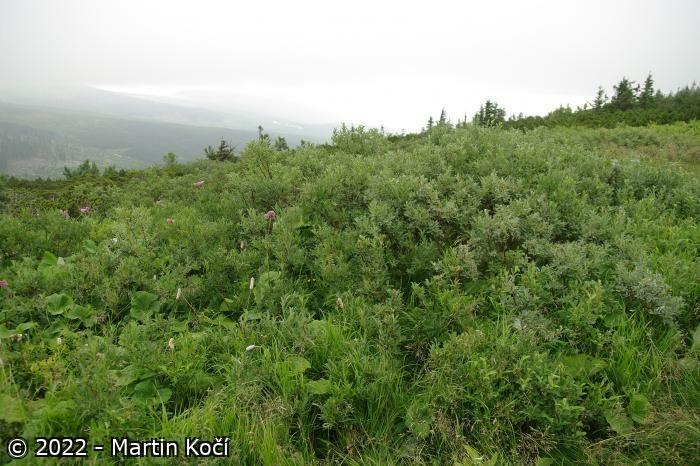 Monitoring of changes in plant and animal communities in response to emissions is carried out by the Administration of the Krkonoše National Park. The impact of tourism is considerable (two mountain chalets and a dense network of hiking tracks affect the adjacent vegetation). System of ridge peat bogs developed in extrem climatic conditions within Central Europe. It represents exceptional biogeographical islands in which relic subarctic phenomena are intermingled with more recent alpine phenomena. The site hosts numerous endemic communities. Criterion 3.